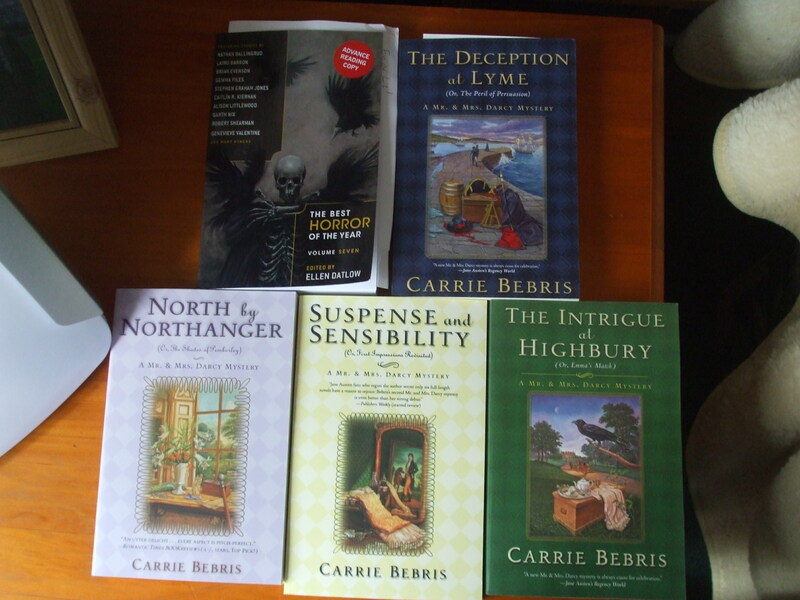 So the nice folks at Tor are determined to convert me to Mr. and Mrs. Darcy FIGHT CRIME: that’s Carrie Bebris’s Pride and Prescience, Suspense and Sensibility, North by Northanger, The Intrigue at Highbury, The Matters at Mansfield, and The Deception at Lyme. 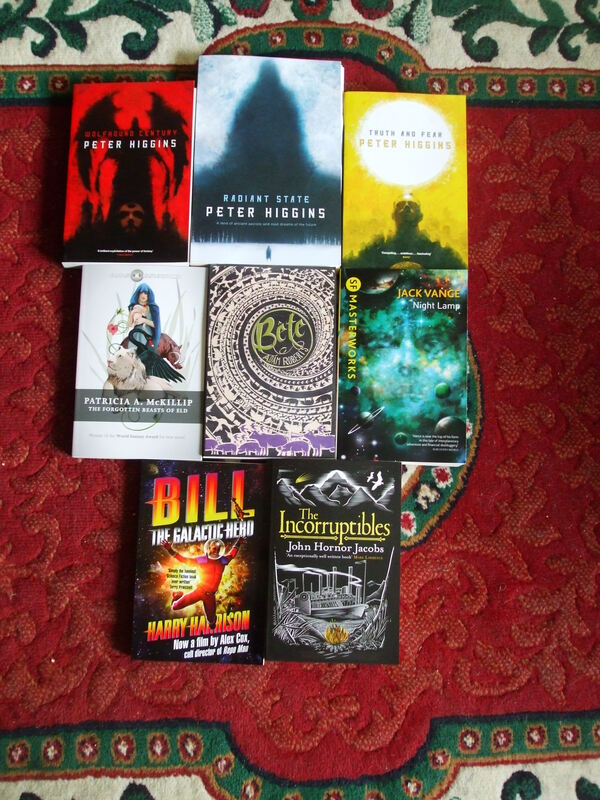 Courtesy of Gollancz, we have Al Robertson’s CRASHING HEAVEN, and courtesy of Night Shade Books, Ellen Datlow’s anthology of THE BEST HORROR OF THE YEAR. 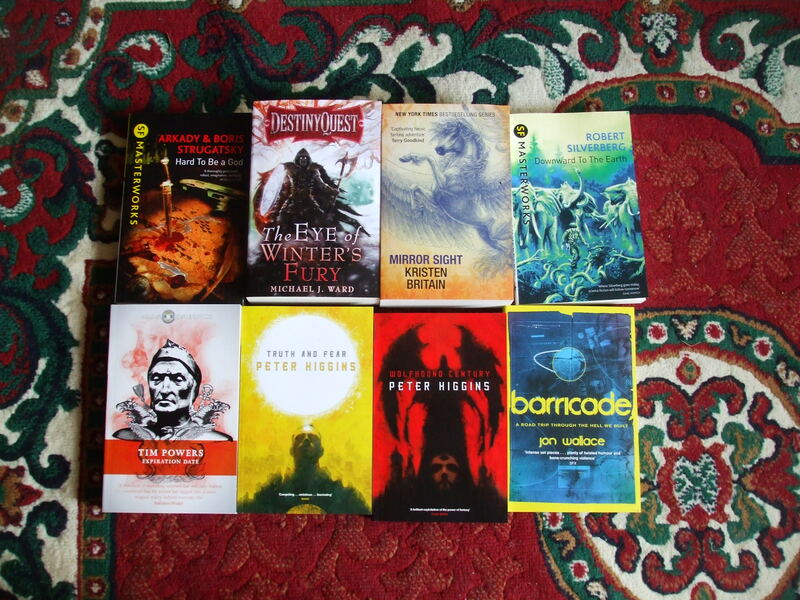 Gollancz seems happy to send me their entire month’s worth of paperbacks. 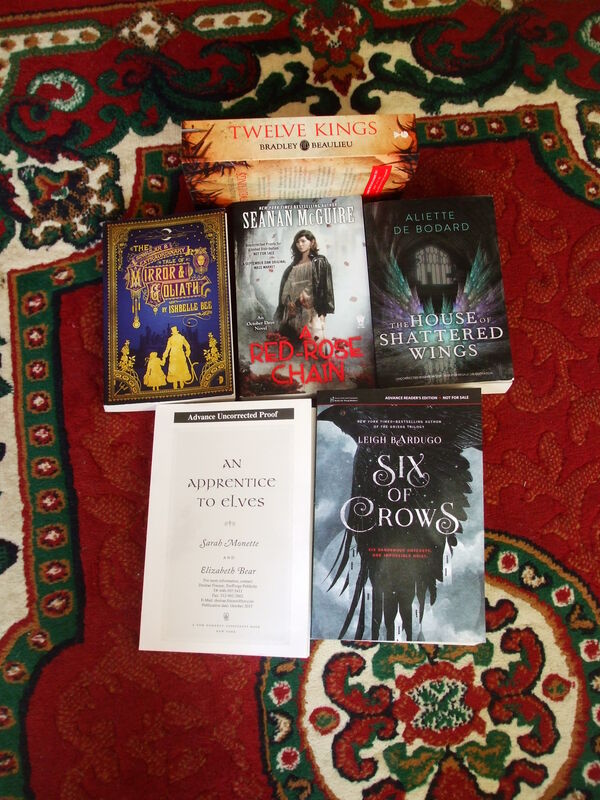 I’m not complaining, exactly – complain about receiving books? NEVER! – but I am starting to wonder exactly how fast the publicity department over there thinks one person can read. So that’s Jon Wallace’s BARRICADE of infamous memory, Kristen Britain’s MIRROR SIGHT, Peter Higgins’ WOLFHOUND CENTURY and TRUTH AND FEAR (damn, but I think those are good books – I think I reviewed both of them when they were published in hardcover), Tim Powers’ EXPIRATION DATE, Arkady and Boris Strugatsky’s HARD TO BE A GOD, Robert Silverberg’s DOWNWARD TO THE EARTH, and a choose-your-own-adventure book by Michael J. Ward called DESTINY QUEST: THE EYE OF WINTER’S FURY. Propped up on a shelf among the urban fantasies. 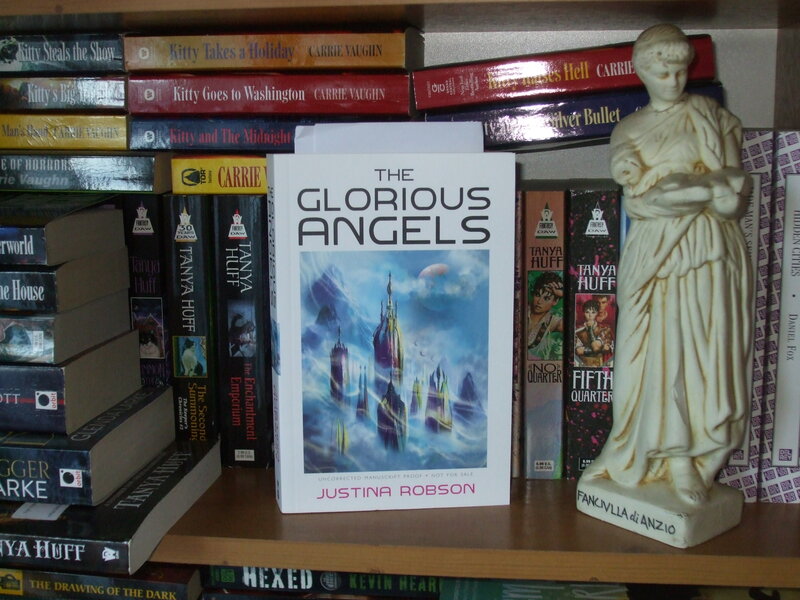 Out of Gollancz, Justina Robson’s THE GLORIOUS ANGELS. 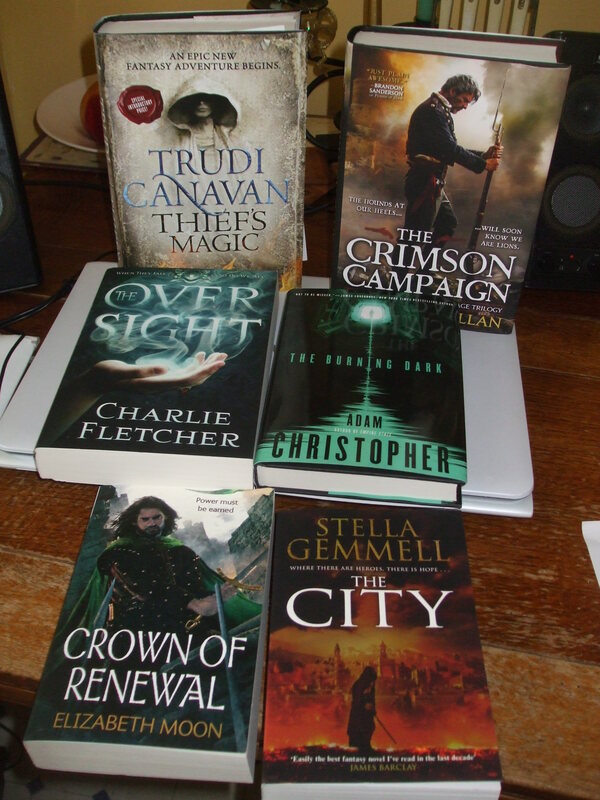 Courtesy of Gollancz. 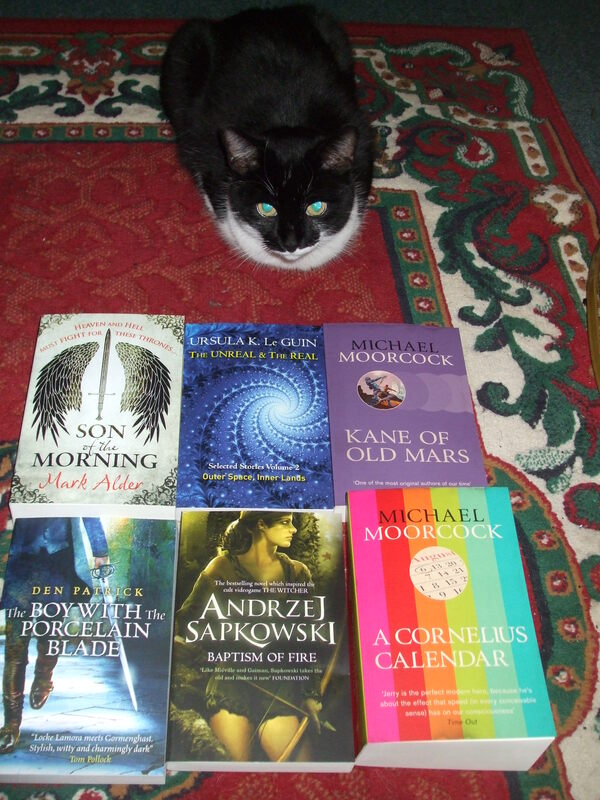 Michael Moorcook, KANE OF OLD MARS and A CORNELIUS CALENDAR. Mark Alder, SON OF THE MORNING. Ursula K. LeGuin, THE UNREAL AND THE REAL VOLUME 2: OUTER SPACE, INNER LANDS. Andrzej Sapkowski, BAPTISM OF FIRE. Den Patrick, THE BOY WITH THE PORCELAIN BLADE. 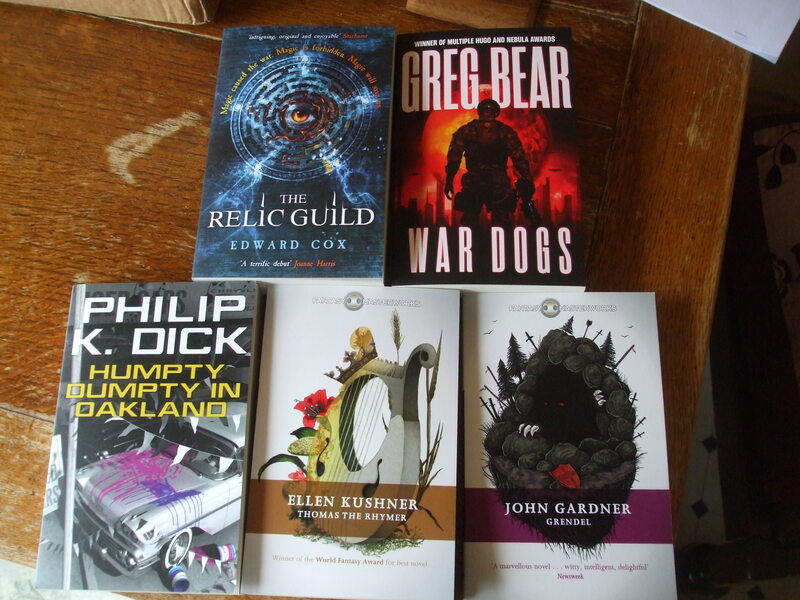 It’s a little unusual to get a parcel from Gollancz. Especially when I haven’t been asking them for a specific title. 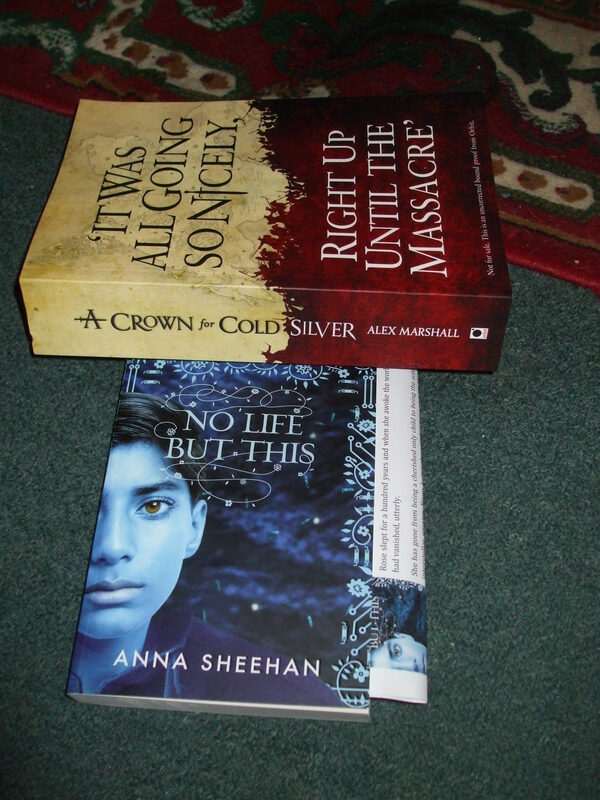 Anna Sheehan, NO LIFE BUT THIS, from Gollancz. 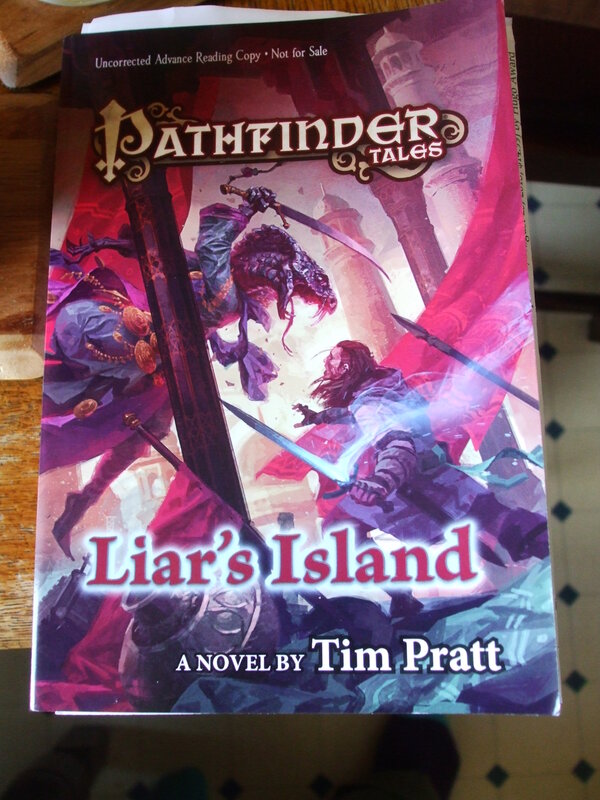 A sequel, and I haven’t read (nor do I possess) the first book: anyone know anything about it? 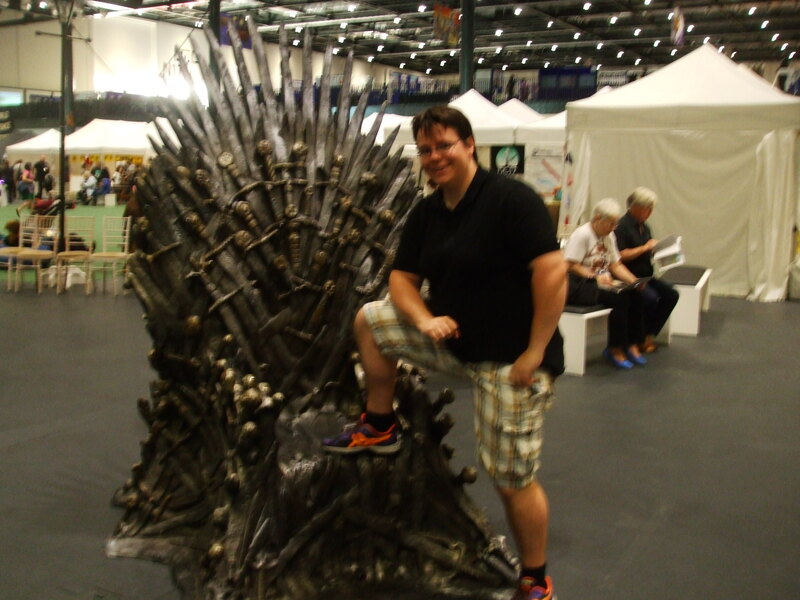 And Alex Marshall, A CROWN FOR COLD SILVER, from Orbit. 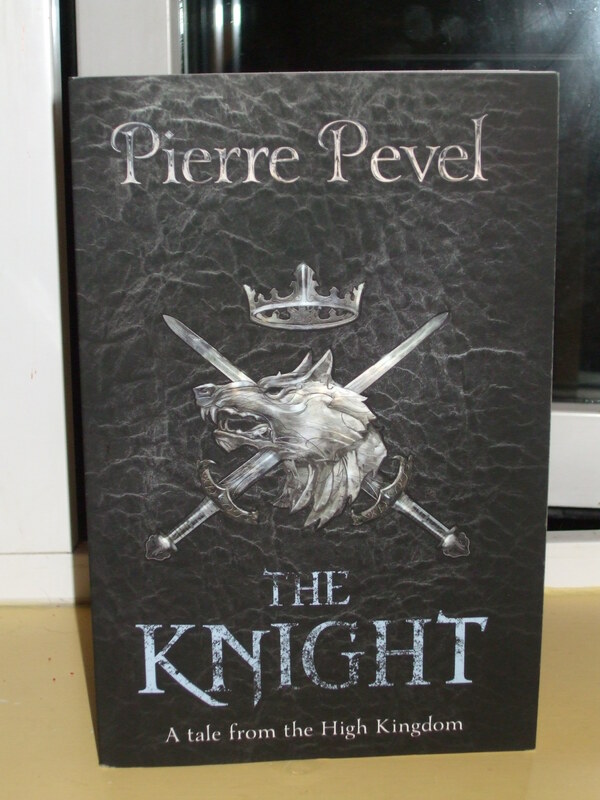 A debut novel, and one which comes to me with more than the usual recommendations from editor- and publicist-type people, so I’ll be interested to see what it’s like. 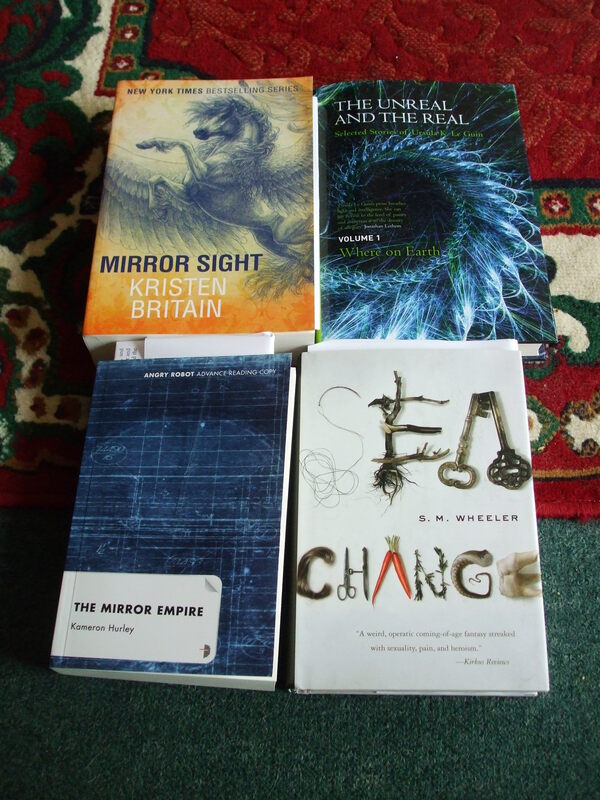 So, does anyone want a review copy of a Sarah Pinborough book? 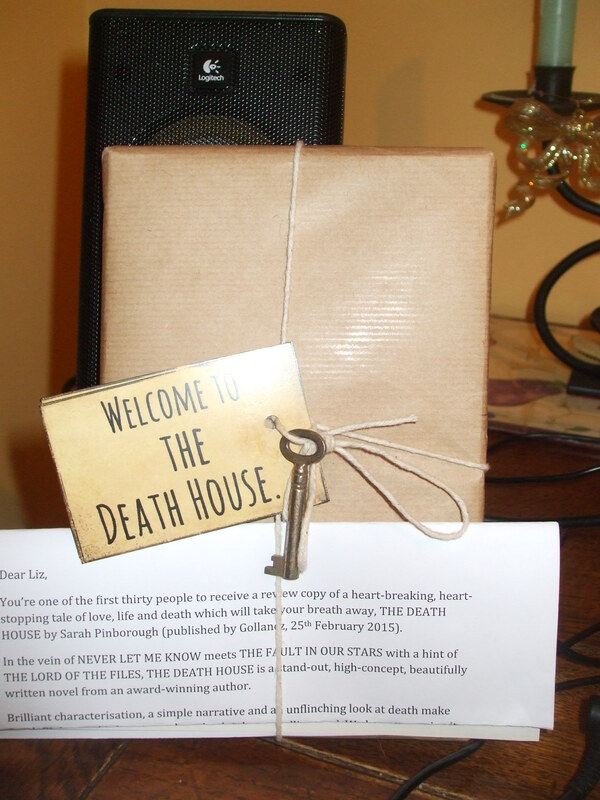 Sarah Pinborough’s THE DEATH HOUSE, whose publicity material is signalling NOT FOR ME very very hard. I do appreciate the nice packaging, though. That’s kind of cool. 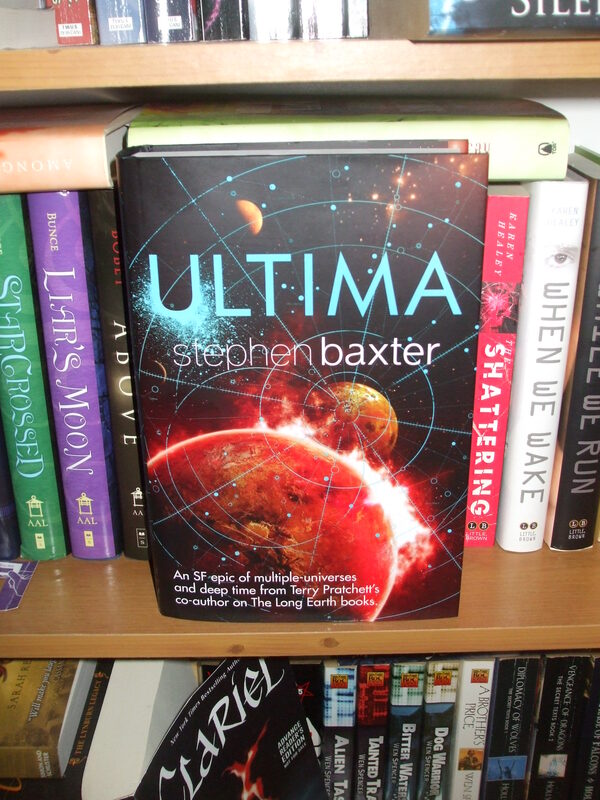 Here’s Stephen Baxter’s ULTIMA, out of Gollancz, which will probably end up going to the library because I haven’t read the first book in the series. 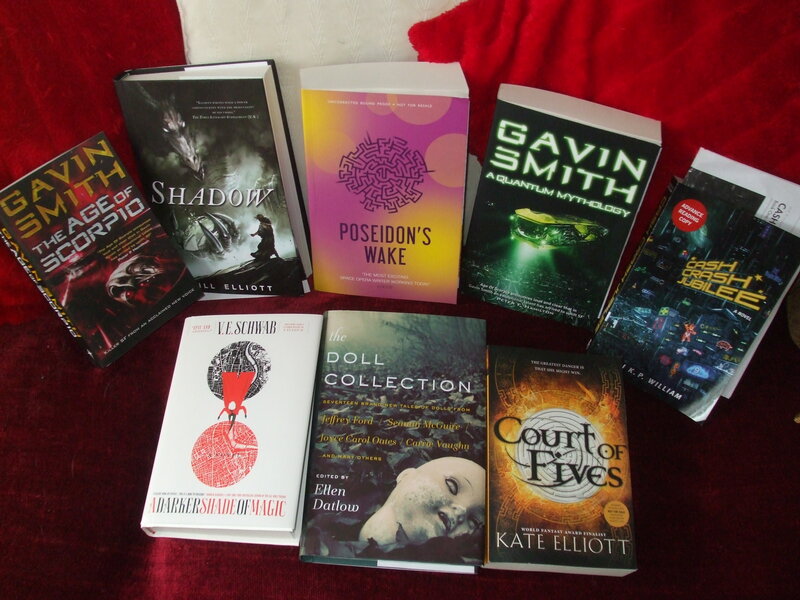 Here are some lovely things from Tor Books. 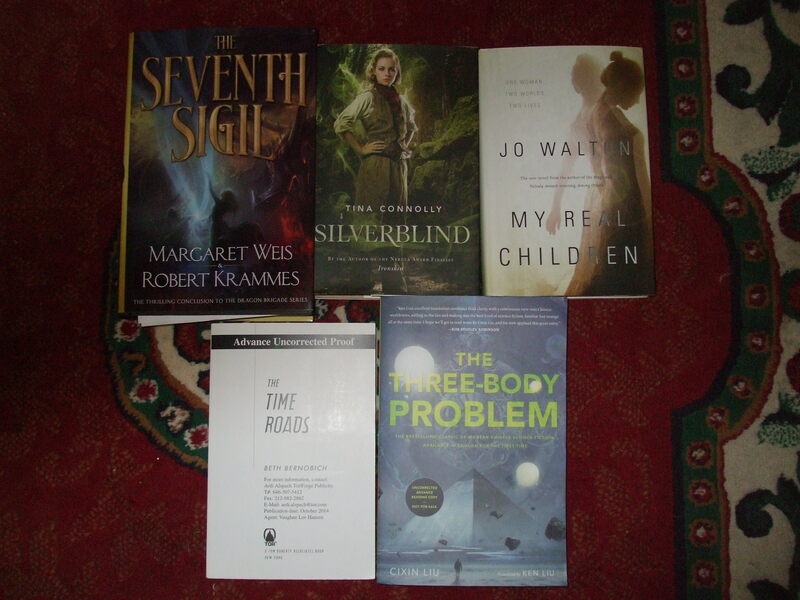 From Tor, Beth Bernobich’s THE TIME ROADS, Weis and Krammes’ THE SEVENTH SIGIL (going to the library, because it is a late book in a series I haven’t read), Jo Walton’s MY REAL CHILDREN, Tina Connolly’s SILVERBLIND, and Liu Cixin’s THE THREE BODY PROBLEM. 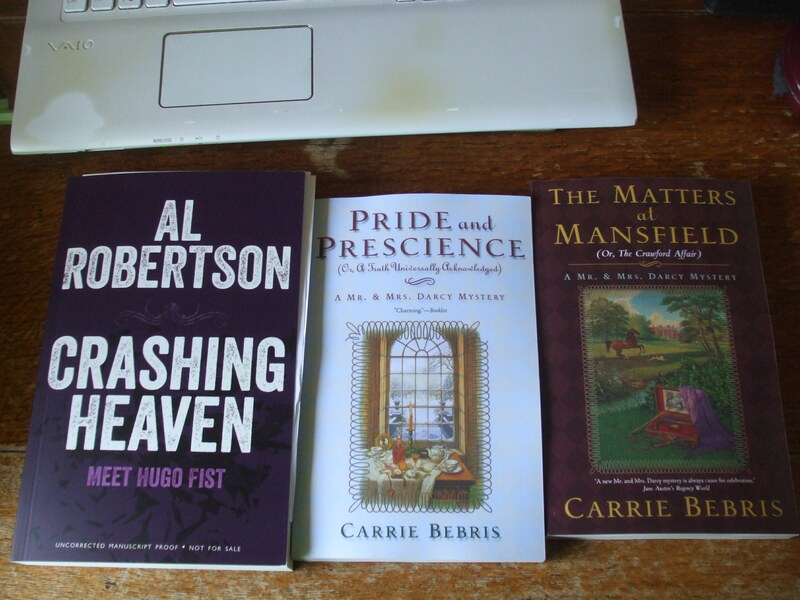 And I came home to find review copies had arrived in my absence. So now I am EVEN MORE behind. That’s Peter Watts’ ECHOPRAXIA, Patrick Swenson’s THE ULTRA THIN MAN, D.B. 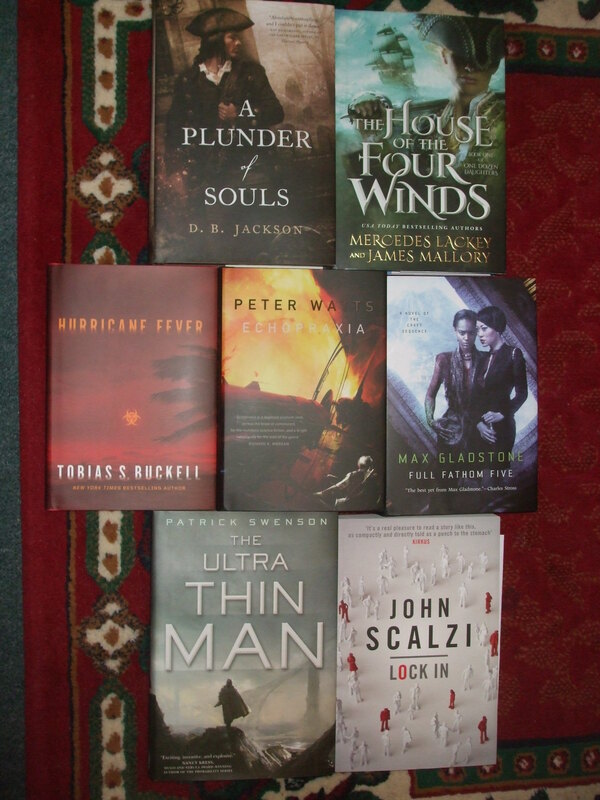 Jackson’s A PLUNDER OF SOULS, Max Gladstone’s FULL FATHOM FIVE, Tobias Buckell’s HURRICANE FEVER, and Mercedes Lackey and James Mallory’s THE HOUSE OF THE FOUR WINDS, all courtesy of Tor; and John Scalzi’s LOCK IN, courtesy of Gollancz.